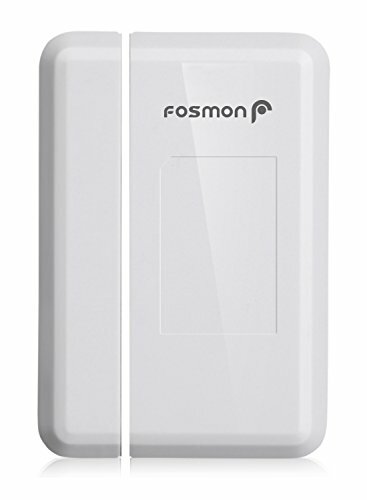 [EXPAND FOSMON DOORBELL SYSTEMS] Perfect solution for expanding your Fosmon Doorbell System with this additional door sensor transmitter. [MODERN AND CONTEMPORARY DESIGN] Never miss anyone at the door. The wireless and portable design works well in home, work, retail stores, salons, and business environments. [MAGNETIC DOOR SENSOR] With your Fosmon doorbell system installed, this magnetic door sensor activates when the magnetic stripe is separated notifying the receiver when the door has been opened. [BUILT-IN LED INDICATOR] The transmitter features an LED indicator that creates a visual alert for the hearing impaired. [EASY TO INSTALL] Wire free and easy to install. Perfect solution for expanding your Fosmon Doorbell System with this additional door sensor transmitter. With your Fosmon doorbell system installed, this magnetic door sensor activates when the magnetic stripe is separated. 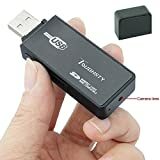 This transmits a signal to the plug-in portable receiver (not included) and alerts you with a ringtone every time the door is opened. Never miss anyone at the door. The wireless and portable design works well in home, work, retail stores, salons, and business environments. The transmitter features an LED indicator that creates a visual alert for the hearing impaired. Wire free and easy to install.